Follow these tips for experiencing the destination’s top attractions — and eating like a local along the way. Start your trip in the capital exploring a range of stylish restaurants. Fusion-focused cuisine representing Spanish, Mediterranean and American dishes is served at trendy restaurants like Lobby, Oleos and Hacienda Real. The city is also home to historical monuments, theaters, museums and street markets where visitors can order traditional favorites such as pupusas, the national dish. 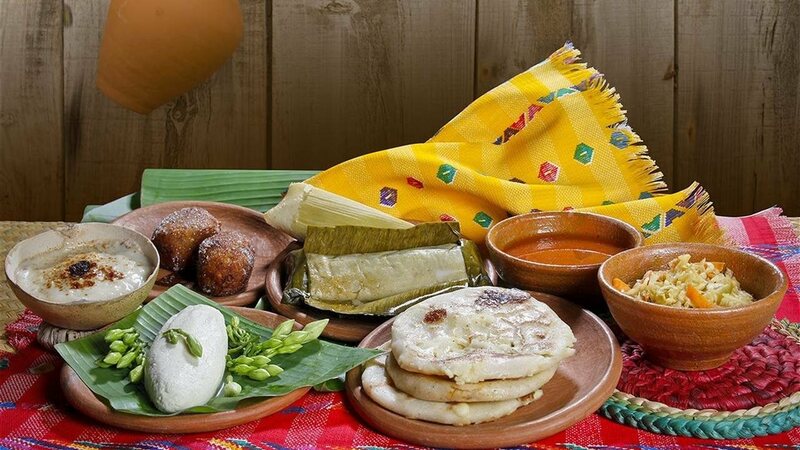 Visitors to San Salvador the second Sunday of November each year can experience the country’s largest National Pupusa Day festival, celebrating with the locals by feasting on the savory corn or rice pancake stuffed with pumpkin, beans, pork crackling, jalapeños, and/or cheese. The nation’s cultural capital boasts well-preserved colonial architecture and cobblestone roads dating to the 15th century. Gourmands can dine at the many restaurants or cafes, sample local cuisine at weekend food festivals, and learn to prepare their own pupusas during interactive workshops at area pupuserías. Visit Santa Lucía church, learn ancient indigo dying techniques through workshops at Arte Añil, or hike to nearby waterfalls, caves and Lake Suchitlán while observing the area’s 200 bird species. This internationally known surfing destination is also a favorite among seafood connoisseurs who feast on fresh fish, shrimp, octopus and ceviche at top eateries such as Beto's Restaurante and Café Sunzal. Visit La Libertad Pier for an up-close view of how the local fishing industry thrives. Another not-to-be-missed dining experience is at Acantilados, the newest luxury hotel to open along the country's Pacific coastline. On-site restaurant FAUSTO puts seafood center stage and is popular for its sushi and tropical beverages. For more information on El Salvador’s attractions, including its many culinary offerings, visit www.elsalvador.travel. Follow these tips for experiencing the destination’s top attractions and eating like a local along the way. The capital of San Salvador: Start your trip in the capital city and explore fusion-focused restaurants representing Spanish, Mediterranean and American cuisine. On the second Sunday of November, experience the country’s largest National Pupusa Day festival. Joya de Cerén: A visit to El Salvador’s UNESCO World Heritage archaeological park offers travelers a history lesson on Salvadoran culture and cuisine. The Flowers Route: This roadway guides visitors through the Apaneca-llamatepec mountains, showcasing several artisan towns. Catch the weekend food festival in Juayua. La Libertad Coast: This internationally known surfing destination is also a favorite among seafood connoisseurs who feast on the daily catch at its top eateries. For more information visit www.elsalvador.travel.